Companies that supply Sears with the TVs, toys, and clothing for sale in its stores are growing increasingly concerned about the retailer's ability to pay its bills, and some are cutting back on shipments to stores as a result. Reuters spoke to three suppliers that are cutting back shipments, refusing bigger orders, or demanding earlier payment from Sears. A Bangladesh-based textile firm told Reuters that it has drastically cut back shipments to Sears for the upcoming holiday quarter, and that it's reevaluating accepting new orders to protect itself against the risk of nonpayment. The company declined to be identified. Another supplier, Arnold Kamler, CEO of New Jersey-based bicycle manufacturer and importer Kent International Inc, told Reuters that Sears tried to purchase more bikes from them last year "because a lot of their current suppliers were either cutting them off or limited them on credit." He said he declined Sears' request. Suppliers have been worried about Sears' financial health for a while, but their concerns really accelerated in the last half of 2016. It's a problem that's underreported because so few suppliers are willing to discuss the matter openly for fear of triggering a Sears bankruptcy or disrupting their relationship with the company. 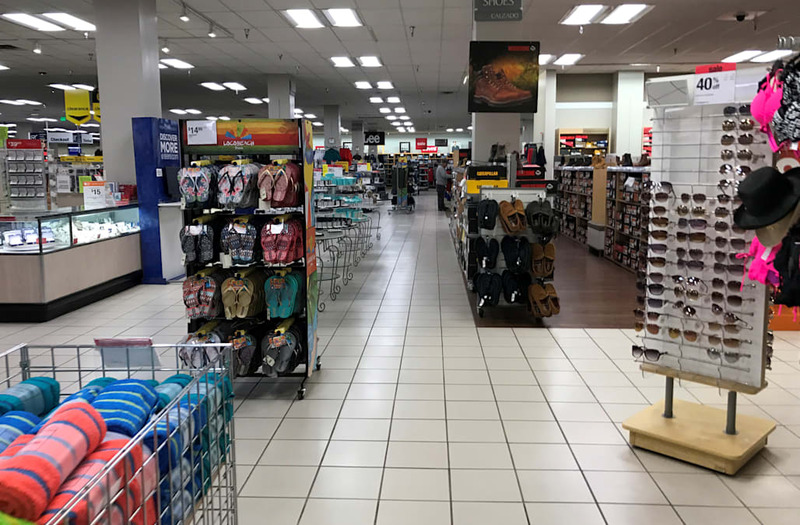 But the issue is readily apparent stores, where empty shelves and barren wall displays showcase the impact of the company's declining inventory. Recent visits to Sears stores in Richmond, Virginia and Woodbridge, New Jersey revealed a clear lack of inventory. At both stores, it appears that employees have tried to spread out the merchandise to fill the store. Regardless of their efforts, many areas of both stores were nearly empty. Unfortunately for Sears, suppliers' fears may only accelerate going forward following the company's admission in a filing this week that there's "substantial doubt" about its ability to stay in business. Sears' stock plunged by nearly 13% following the news. The company's chief financial officer, Jason Hollar, later tried to reassure investors in a blog post saying the company remains focused on meeting its financial obligations. "We are firmly focused on improving the operational performance and financial flexibility of Sears Holdings," he said.